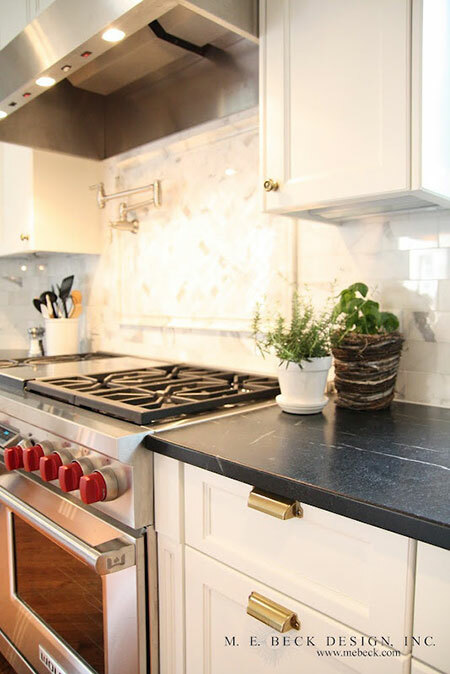 We often see polished chrome pulls in kitchens, but brass is less common. 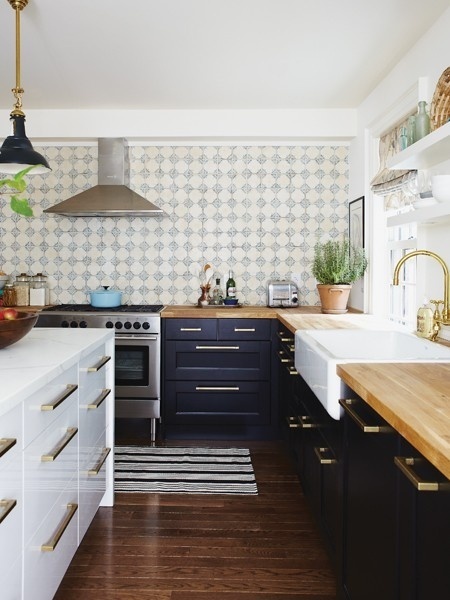 What's your take on it- Would you ever incorporate brass in to your kitchen? Love all of these! 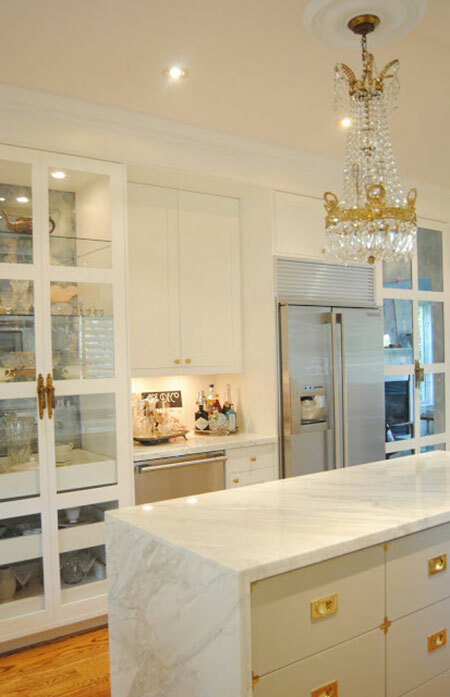 And especially love it in combination with light and dark cabinets in a few of the images..so so chic! Can't get enough of the brass! It looks lovely on the blue. 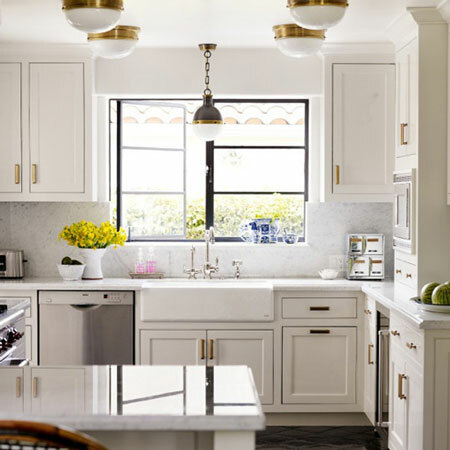 I like the idea of using brass instead of chrome, especially in a kitchen with so much white, because it seems to add a bit of warmth to what could come off as a cold, unfriendly kitchen. 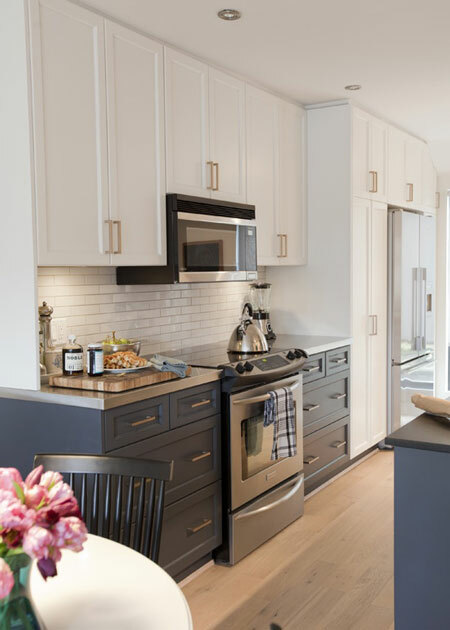 It's probably why I'm also partial to adding in browns and greens into mainly white kitchens - anything to keep it from looking too sterile! Best of luck with finals. I'm sure you'll do great! Im with you, love the look. Have a great weekend Sam. I was soooo torn on doing this in my kitchen. I'm kind of loving the look right now. Not sure if I would grow tired of it, or how I felt about mixing it with my new stainless steel appliances. I kind of wanted them to be the showpiece. 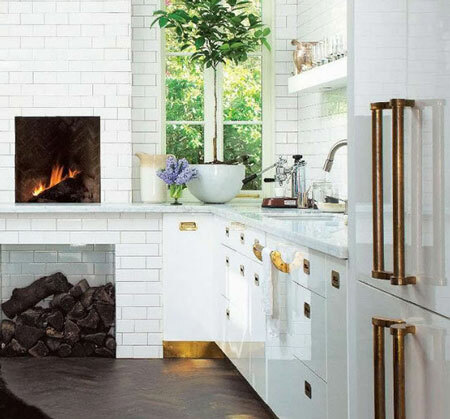 Love gold in the kitchen. Great photos. Hope you have a happy Friday love! loving brass too! 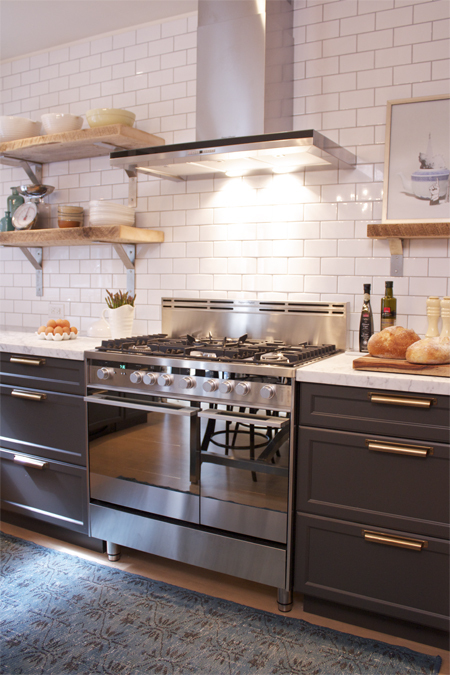 these are all beautiful kitchens! The brass makes the simplest of cabinet facades look so different - I am contemplating brass now without going crazy on tiles and it would be easy to change back if I got bored of it. But lovely choice of pics. Yep unreal. I need it (first I need my own kitchen though...). I couldn't agree more about the 'top five' quality of Christine's kitchen. I'm totally needing/wanting anything in brass/gold these days! I am really impressed by this blog!Very clear explanation of issues is given and it is open to everyone.It contains true and fair information. Your website is very useful. I am amazed by the kitchen designs here. I would love to get mine decorated in a similar fashion.